The Fuso eCanter on display will represent the more than 100 eCanter trucks currently operating in the U.S., Japan, Germany, England, the Netherlands and Portugal. The ACT Expo is the largest alternative fuel and advanced technology conference and expo. The entire event runs April 23 to 26, with the Expo opened on April 24, 12:15 p.m. to 7 p.m., and April 25, 10:00 a.m. to 6 p.m. The event takes place at the Long Beach Convention Center. Fuso again will demonstrate its leadership with alternative fuels through its proven experience in all-electric trucks. The eCanter, which represents the world's first series-produced all-electric medium-duty truck, will be on display. Other Daimler Truck brands, including Freightliner and Thomas Built Buses, also will participate, highlighting the recent development of the Daimler E-Mobility Group (EMG). This internal organization sets the strategy and development for electric components or complete electric vehicles for all Daimler Truck brands. 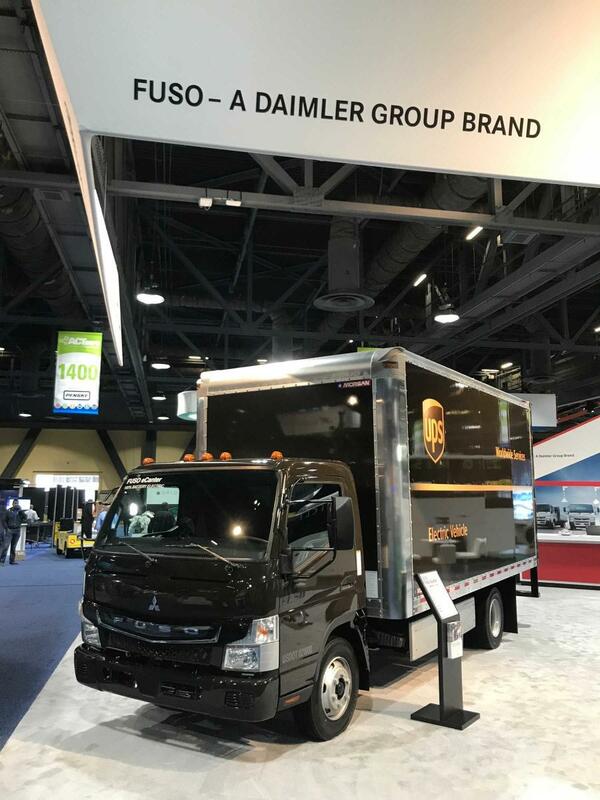 The Fuso eCanter on display will represent the more than 100 eCanter trucks currently operating in the U.S., Japan, Germany, England, the Netherlands and Portugal. In the U.S. alone, 15 customers have deployed the eCanter in their fleets. Customers include: UPS, Penske Truck Leasing, J.B. Hunt, University of California, Irvine and XPO Sales, to name a few. Through its partnership with ACT Expo, Fuso can provide personnel who make fleet vehicle and fuel purchasing decisions a free VIP pass to the ACT Expo. Registration is required and must be completed by April 12, 2019. Qualified individuals should contact FUSO for more information. For more information, visit www.mitfuso.com.